Shirts With Random Triangles: Florida freshman LB Justin Watkins arrested on felony domestic battery-related charges, suspended from Gators football program. Florida freshman LB Justin Watkins arrested on felony domestic battery-related charges, suspended from Gators football program. Mugshot of Justin Watkins. Image via WCJB. University of Florida Police arrested Florida freshman Justin Watkins on Tuesday in connection with felony charges of domestic violence. It’s the second time Watkins has been in legal trouble since committing to the school. Florida head coach Dan Mullen suspended Watkins from football program related activities through a statement from the school. An arrest report obtained by Gainesville television WCJB details an incident on July 20 in which Watkins is alleged to have assaulted a women in his dorm room. Watkins reportedly “held a woman down on a bed and punched, slapped, and choked her.” He is then allegded to have blocked the woman from exiting the dorm room, who escaped after spraying him with mace. Watkins faces third-degree felony charges of domestic battery by strangulation, false imprisoment and kidnapping, along with two first-degree misdemeanor charges of battery. 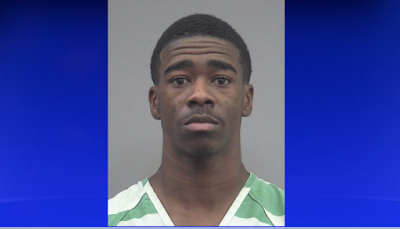 He is currently being held without bond at the Alachua County Jail in Gainesville, Fl. Watkins had benn previously arrested for an incident in May, where he is to alleged to have damaging a woman’s phone, kicking her veihicle, and following her first to a gas station, and then to the campus of Vanguard High School Ocala, Fl. He was arrested on charges of tresspassing on school grounds. Watkins is the second SEC freshman to run afoul of the law this month. On Monday, Tennessee dismissed freshman linebacker Ryan Thaxon after he was charged with domestic assault charges.